Let the Pros Make Your Business or Home Shine! Why has FISH grown to be the largest window cleaning company in the world? Call (805) 351-3511 or click here today for a FREE on-site estimate! Whether you have one window or hundreds, we LOVE your glass. You work hard to give your customers a great experience and you know first impressions count. Trust the pros to keep your windows, awnings, chandeliers, glass partitions, and mirrors sparkling clean - the way you know you want them to look. "Efficient, fair pricing and genuinely friendly service is another of their assets. Highly recommend this professional company who stand behind their work, unlike some of the smaller companies in town." 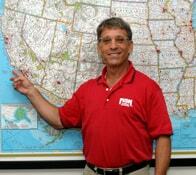 - Doug R.
"They show up as agreed, do their work efficiently and the windows always look great. I appreciate the one invoice I receive each month which shows my 3 locations individually. That is very helpful." - Margaret C.
Click here to read more testimonials from our commercial customers. You lead a busy life and you love your home. Wouldn’t it be great to let the pros keep your windows sparkling clean all year long leaving you free to enjoy the view! We love your home too so we protect the floors by wearing shoe covers, using drip pads, and using environmentally-friendly cleaning products. "Conscientious owner plus pleasant, considerate staff made it easy to have them in my home... not to mention lovely results." - Julie B. "Excellent service from Toby yesterday! Love this company, reasonable prices, respectful, on-time personnel. My windows have never looked better!" - Joan T.
Click here to read more testimonials from our residential customers. Hard to reach windows are made crystal clean with the use of de-ionized water fed through a pole reaching up to 50 feet! Pure water leaves the window spotless with frames being cleaned at the same time. Less ladder use and no walking on the roof makes cleaning safer and faster. Click here or call (805) 351-3511 today! We're here to help! 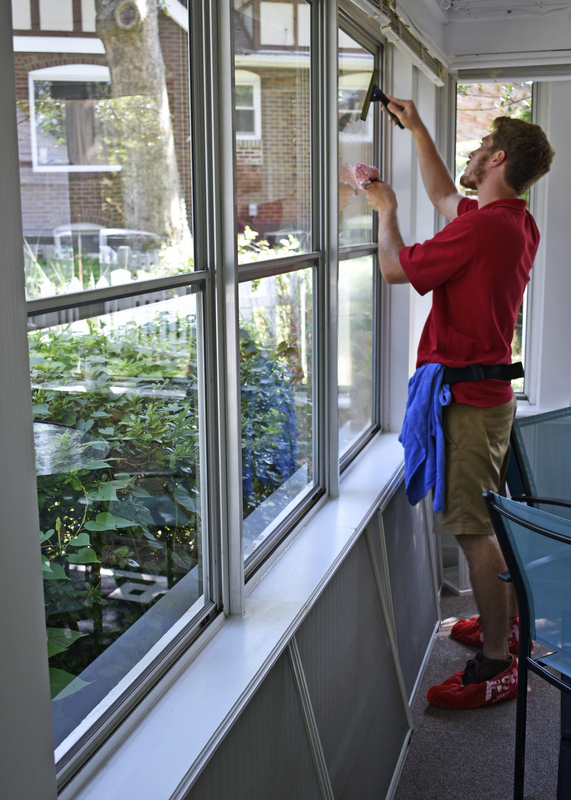 We're on a mission to make your windows sparkling clean!